Our precious Madeline white dress with pink rosebuds is hand embroidered across the smocked bodice, Peter Pan collar, the sleeves are trimmed with pink satin ribbon that allow you to adjust them, the skirt is also adorned with pink satin ribbon. A long sash tied into a bow finishes the back. 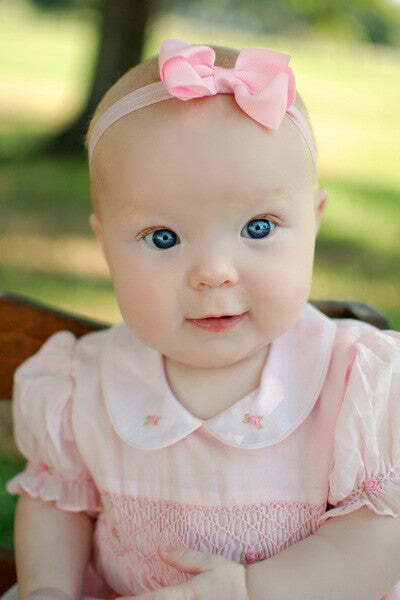 This dress will be gorgeous for your baby girl birthday portraits or any other special occasions. The dress is fully lined.